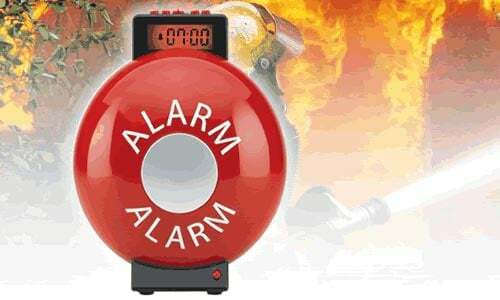 If you are like me, then you probably find it hard to get up in the morning, I have various alarm clocks going off as well as an annoying alarm on my iPhone, then you might need one of these Fire Bell Alarm Clock. This fun alarm clock will definitely wake you up as the alarm sounds just like a fire bell and apparently is just as loud. The Fire Bell Alarm Clock is available for $29 from Lazybone.